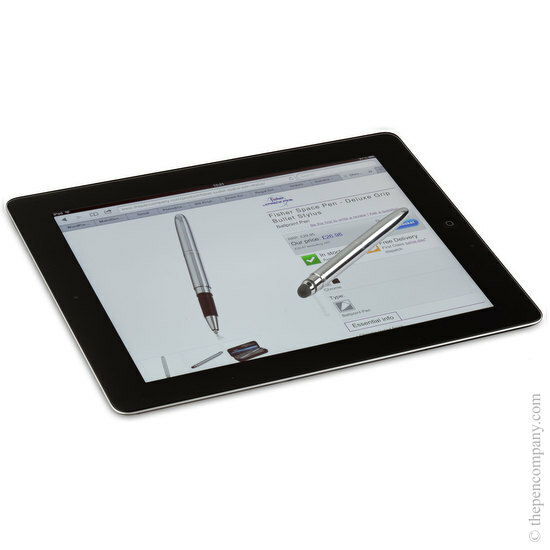 The Fisher Stylus combines the renowned Fisher pressurised ink space pen technology with with a stylus designed to be used with all current capacitance-sensitive touch screens such as those used on the i-pad, i-phone and android smart phones, as well as other tablet computers. The soft touch tip is angle insensitive and will not mark or damage the screen. It has a durability of 500 000 touches and can be replaced, should you wear it out! 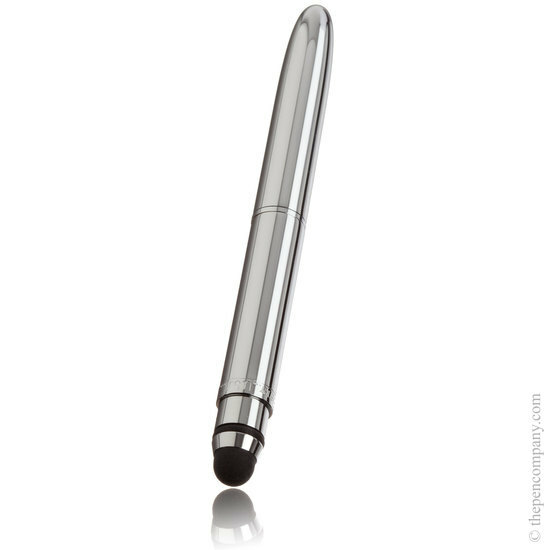 The Stylus is based on the Fisher Bullet combining the convenience of a small pocket, handbag or organiser pen when capped, with the comfort of a full size pen when open with the cap posted on the end. I am looking after this one very carefully... but if I do have the misfortune to lose it - I'll be straight back to replace it! Would definitely recommend the additional 'Fisher Space Pen Clip for Bullet Space Pens' which once clipped on, fits so perfectly it feels as if it were put together in the original construction process in the Fisher factory! The pen comes in a pass-the-parcel-get-anywhere-in-perfect-condition packaging and I remember a while back reading that packaging is the number one bugbear in a reader’s poll so I tested that out too. One end was tough to open (the sort that has cuts into the ends with a middle flap into the end of the box) so I tried the other and it opened quite easily. Part 1 passed. - Stainless steel precision-machined socket prevent leaks and oozing, yet delivers instant uniform in ink flow. - Visco-elastic thixotropic ink in the hermetically-sealed and pressurised cartridge writes three times longer. - Sliding float separates ink from pressurised gas. - Gas plug seals in almost 50psi when full. I only understand about half of that but it sounds impressive. I recognise psi from tyres so perhaps the car mechanics reading this can explain that bit to me. There is actually an explanation on the leaflet and picking up that it won’t run out for at least 100 years (depending upon how much I write!) and I can use it in temperatures from -30oF to +250oF (no danger there). Part 3: the important bit – the pen. The first thing that surprised me about the pen (or rather the pen via the packaging) was how small it is. I thought that perhaps it came in two pieces but no, sure enough, it is dinky. 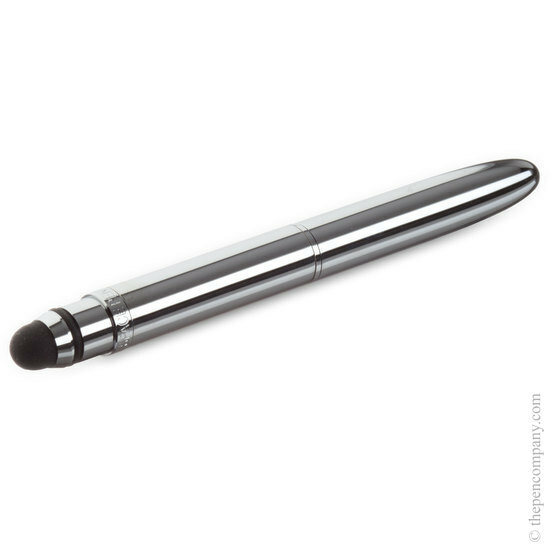 Housed in a shiny silver metallic casing, it opens smoothly, has the stress-ball-type-feel stylus on the top, so no switching of refills etc. and I played WordDrop (on my iPad2) with it seamlessly. The pen itself is reassuringly weighty and the cap fits neatly on to its rear end (ooh er missus). When the cap it replaced, it does so with a nostalgic Rice Krispies Snap, Crackle and Pop “pop”. 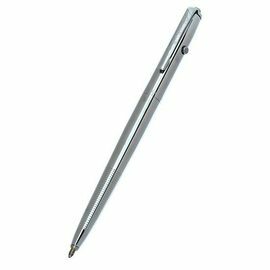 The pen, when in use, fits comfortably in the fingers, made all the more so by a soft black rubber ribbed (minds out the gutter please!) inch-wide band just back from the tapered pen end. The refill is accessed by a smooth central screw-thread fitting. 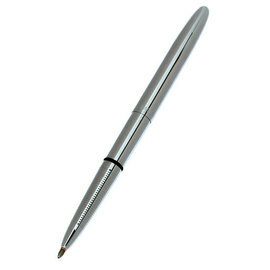 Everything about the pen is solid and firm, a feel of quality. 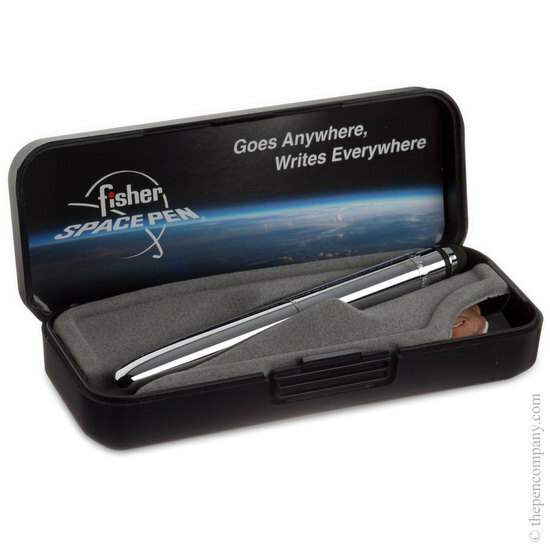 The pen’s catchphrase is ‘Goes anywhere, writes everywhere’ and it certainly will be going everywhere with me… including off to my writing group in about… oops, minus three minutes. The surface finish of the pen platform is generally referred to as 'flocked', as used on rather grand wallpaper. 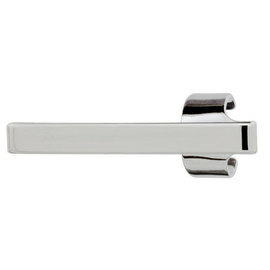 The clip is available in either silver, gold or black. 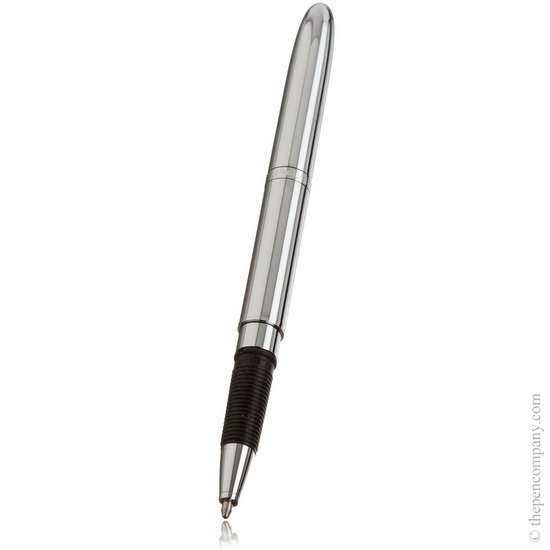 The Fisher Bullet Space Pen (all versions) come with medium black refill as standard. Additional refills can be found in 'Associated products' further down the product page. Yes, these pens can be engraved - most high street "shoe bars" will do this for you. The pens are made of brass meaning once engraved the lettering will show up in a gold colour giving a nice contrast.